Were you ever fortunate(?) enough to be dropped off at school by car, or was it the bus/bicycle for you? Or perhaps it was good old shoes/sandals that transported you to a place of learning every day? 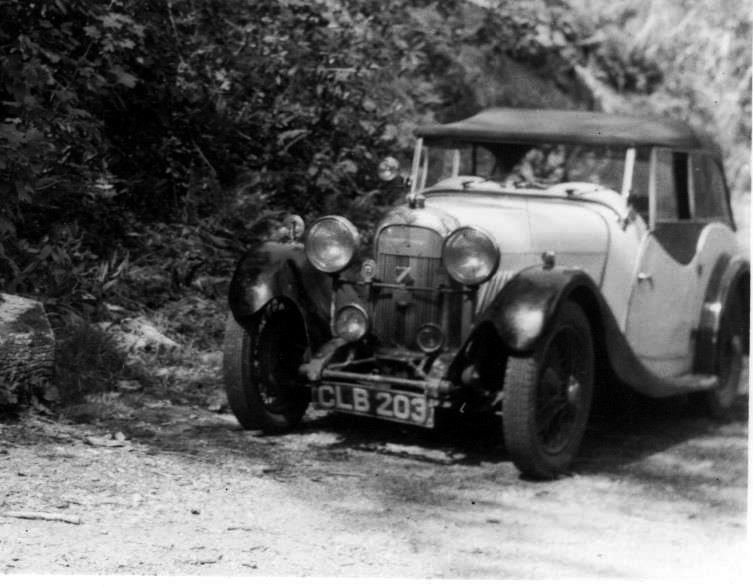 A school friend's father sometimes dropped us off in his 4 door Morris 8 series. The school crossing lady went round the other side one day because so many of us got out of it she thought some were getting in on the offside. Comments went from 'Coo, racer' in 1952 to 'Coo, old banger' by 1960! It was all such a long time ago. I had an after school and week end job delivering fruit and veg. for our local greengrocers shop which I secured by volunteering to rebuild their decrepit delivery bike. It was one of those purpose built bikes with a big iron basket over the small front wheel and a sheet steel advertising plate built into the frame. It even had rod brakes! God was it heavy! With my Dad's help we restored the old wreck into a decent looking machine - it even acquired a Sturmey Archer 3 speed rear hub.! One advantage of the delivery job was that I could keep the bike at home so I used it to get to school on. At the end of the school day I would negotiate a fee with other pupils to take their heavy school bags to their respective homes. Picture, if you will, a delivery bike piled high with school bags and a very hot and sweaty young rider struggling to keep the assembly from tipping over.!! I used to make quite a bit of cash from that little venture! I used to get dropped off in the morning at my primary school in the rather bent Husky in these pictures. (It wasn't bent when I was being dropped off.) I came home by bus. As well as a succession of various Holden station wagons (sort of like Vauxhall estates to you blokes) I got dropped off a lot in a 1955 International Harvester AR 110 ute ! They are an enormous coupe utility (about the size of a Chevy, GMC,F100 or whatever pickup)) and dad had this one on the farm. My younger brothers were a bit luckier, because after I had left and was doing an apprenticeship dad bought a second hand 1963 Rambler American sedan. Small by American standards it was a 195 CI 6 cylinder auto sedan, and we thought it was "Christmas". We all loved that car so much we never did get rid of it even after dad wasn't around any more and it is still in running order up at the farm although not registered for the last few years. First school, at five years old, was a four mile walk in all weather The following year a nearer new school was opened. It was at the top of the hill from home. I used a billy cart which I dragged to school in the morning, then rolled swiftly down the hill, about half a mile to home for lunch. Another drag back to school for the afternoon, and a gleeful roll home at the end of the school day. 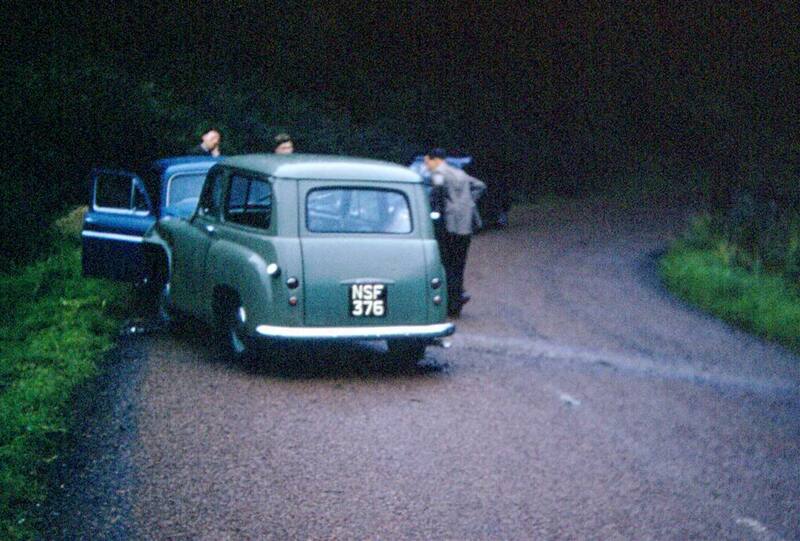 After seeing a certain film in about 1953, my transport was re-christened "Genevieve"
I used to walk the mile or so to and from school with my friends but occasionally if the weather was really poor my mum would drop me off or pick me up in her tan brown 1978 Mini clubman! Enjoying these updates everyone, the stories and the photos - great stuff! Shank's Pony for me, to attend a variety of schools up to age 9 [and a bit! ]....then, to age 11, I cycled to & from school. 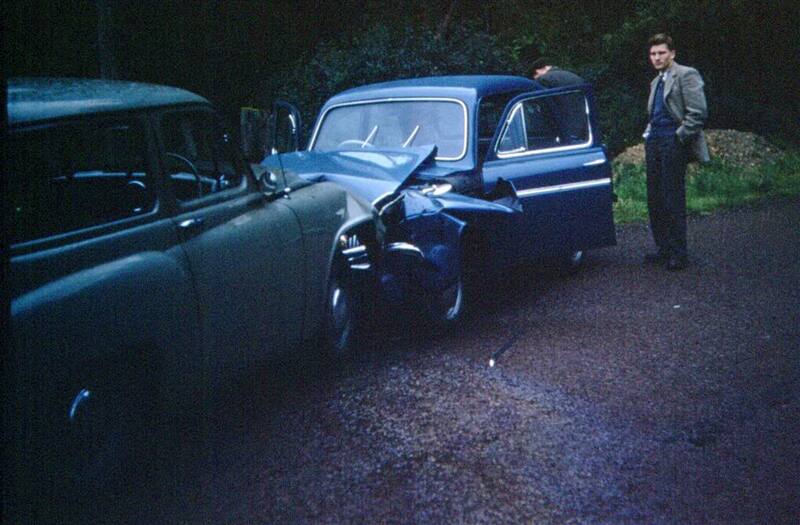 However, when I fell off & broke my arm, I either had to walk, or sometimes [but not often] got a lift in an Armstrong Siddeley Sapphire...which was the 'family' car of my foster parents....Next door-but-one,lived Edward Eves, a motoring correspondent who later became Midlands Editor of Autocar...who wrote an article on my foster parents' habit of buying large 'posh' cars for a few hundred quid....[there were 4 of us kids to transport as well]....the Armstrong being but just one example. 11 to 14, I was stuck in a grammar boarding school.....and once expelled, then cycled to & from a nearby [mixed] grammar school. Of all the educational establishments I attended only the two I cycled to had any real impact on my 'education'. [''he'll never amount to much''...was the attitude of the others]..a case of, if you want to get ahead, get a bike? Post-state education establishments I attended were residential. Cars to school? when I started school, there was only one car in the whole street! We walked the mile each way, rain or shine, and home for dinner. Actually, I can't even remember any of the teachers having cars. Cars to school? when I started school, there was only one car in the whole street! Likewise! Jimmy Rankine’s Standard 9. My school transport was a Crossley double decker there and back.